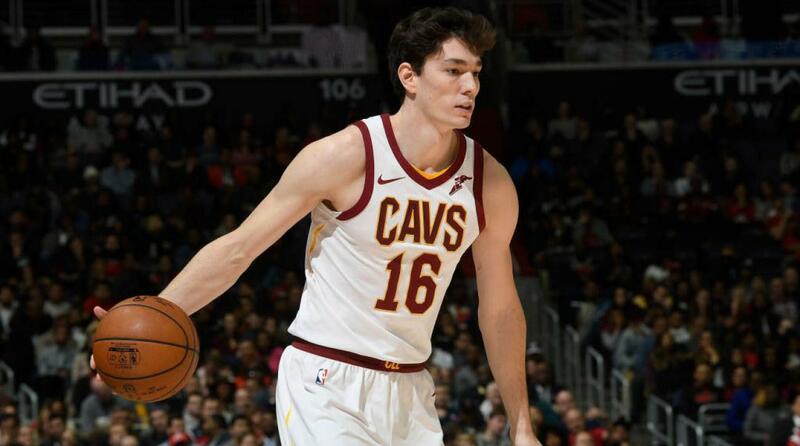 Cleveland Cavaliers forward Cedi Osman will be out of the team’s lineup for their Saturday night road game against the Chicago Bulls. That decision was announced during the team’s Friday practice. Coach Drew just confirmed that @cediosman, who left six minutes into Wednesday's game vs. OKC with back spasms, is out for tomorrow's contest in Chicago. Osman’s brief appearance during the 95-86 loss on Wednesday night saw him finish with just one rebound, while the second-year man also missed his only shot attempt of the night, a 3-pointer. His departure came just two nights after playing a season-high 42 minutes in the Cavaliers’ loss in Orlando. During the Cavaliers’ first 11 games this season, Osman has served as the team’s starter at small forward. He entered this campaign having the difficult task of replacing LeBron James, who left the Cavs in July to play for the Los Angeles Lakers. Osman is currently averaging 11.4 points, 5.0 rebounds and 2.5 assists per game. As a rookie last year, Osman missed a stretch of games during the second half of the season because of an injured hip. There’s no indication exactly how long he’ll be out for the Cavaliers, who have dropped 10 of their first 11 games.